One of the things I love most about being a Stampin' Up! Demonstrator is my downline - I have a fantastic bunch of ladies in my team, and they feel like family to me. Stampin' Up! is a really special company in that way; everyone works together and supports one another, sharing and caring, and we really do feel like a family. I have made so many wonderful friends through Stampin' Up! - both customers and demonstrators. 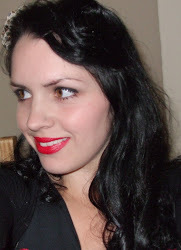 Last Christmas I wasn't very well (and therefore not very organised!) but this year I got sorted early and delighted in taking time to make and send my wonderful girls gifts as a thank you for being on my team. It is so easy to create a gorgeous notebook like this. Firstly, you need to find a completely flat notebook that you can easily cover - that is actually the hardest part. Secondly, cover it in your favourite paper. I chose the Whole Lot of Lovely Designer Series Paper (DSP) as it is just SO gorgeous. I cut a circle of another piece of DSP from the same set using the Stitched Shapes Framelits Dies, I also did one in Whisper White Cardstock. I then added a Calypso Coral butterfly, cut using the Butterflies Thinlits Dies. All the materials used in today's project (except the notebook) are shown in the Showreel at the bottom of this blog post. Don't hesitate to get in touch if you have any questions about this project or our products. So a big "Thank You" to my lovely girls Jackie, Jane, Trish, Karen and Loretta for being on my team and for everything you have done this year. 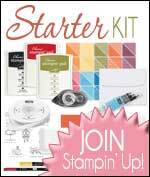 If you'd like to join my team or want to know more about becoming a Stampin' Up! Demonstrator (and getting that fab discount!) then take a look at the Join Page for more information.